Set out for a day of adventure with the Superga 2288 Fglw lace-up mule. Leather upper. Lace-up closure with metal eyelets for an adjustable fit. Signature round-toe Superga silhouette. Iconic side branding tag. Soft textile lining ensures an abrasion-free environment for all-day wear. Cushioned footbed provides sustained comfort for all-day wear. Natural rubber, crepe-textured outsole offers traction and durability. Imported. Measurements: Weight: 10 oz Product measurements were taken using size 36 (US Women~s 6), width Medium. Please note that measurements may vary by size. Weight of footwear is based on a single item, not a pair. 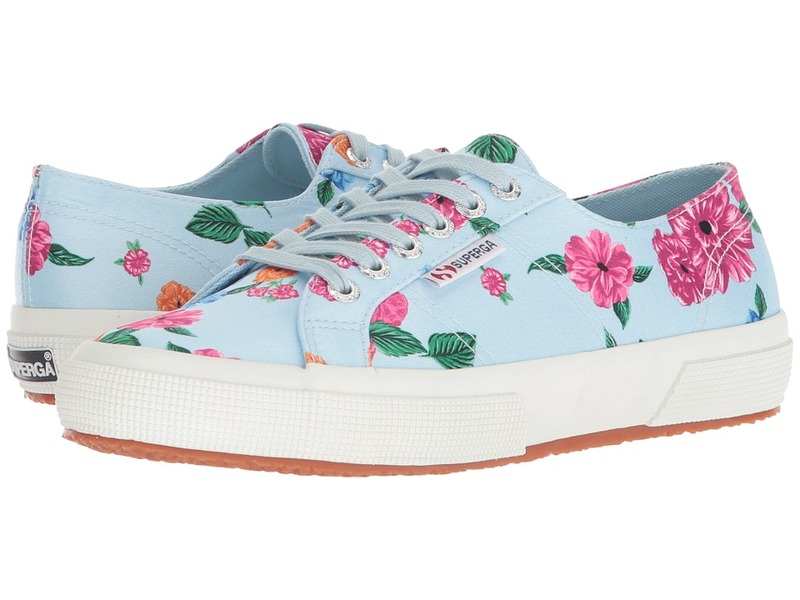 Bloom where you plant every step in the Superga 2750 Camfloralw Sneaker, an international favorite in footwear! Floral printed unlined textile upper. Lace-up closure with metal eyelets for an adjustable fit. Signature round-toe Superga silhouette. Iconic side branding tag. Soft textile lining ensures an abrasion-free environment for all-day wear. Cushioned, non-removable footbed provides sustained comfort. Natural rubber, crepe-textured outsole offers traction and durability. Imported. Measurements: Weight: 13 oz Product measurements were taken using size 39 (US Women~s 8), width Medium. Please note that measurements may vary by size. Weight of footwear is based on a single item, not a pair. 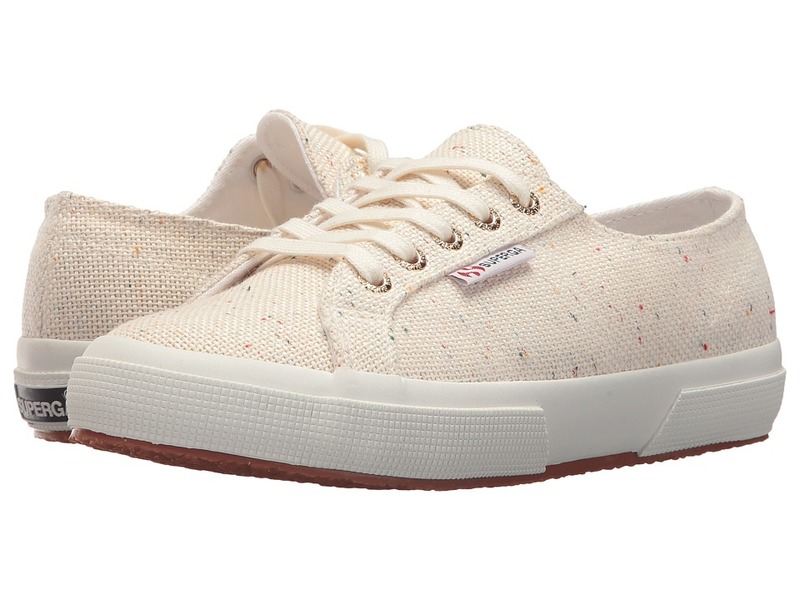 Put a pop of color in your step with the Superga 2750 Specklew Sneaker! Sturdy cotton unlined canvas upper with speckled color effect. Lace-up closure with metal eyelets for an adjustable fit. Signature round-toe Superga silhouette. Iconic side branding tag. Soft textile lining ensures an abrasion-free environment for all-day wear. Cushioned, non-removable footbed provides sustained comfort. Natural rubber, crepe-textured outsole offers traction and durability. Imported. Measurements: Weight: 13 oz Product measurements were taken using size 38 (US Women~s 7.5), width Medium. Please note that measurements may vary by size. Weight of footwear is based on a single item, not a pair. 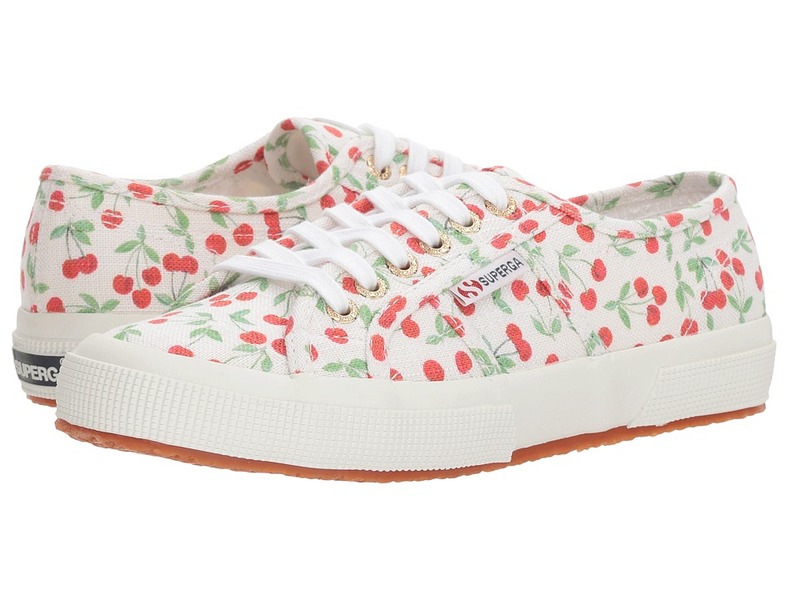 Signature style gets a fun and fruity refresh with Superga 2750 Linen Fruitw Sneaker! Fruit-patterned linen blend upper. Lace-up closure with metal eyelets for an adjustable fit. Signature round-toe Superga silhouette. Iconic side branding tag. Soft textile lining ensures an abrasion-free environment for all-day wear. Cushioned, non-removable footbed provides sustained comfort. Natural rubber, crepe-textured outsole offers traction and durability. Imported. Measurements: Weight: 14 oz Product measurements were taken using size 39 (US Women~s 8), width Medium. Please note that measurements may vary by size. Weight of footwear is based on a single item, not a pair. Revive a tried-and-true wardrobe essential. 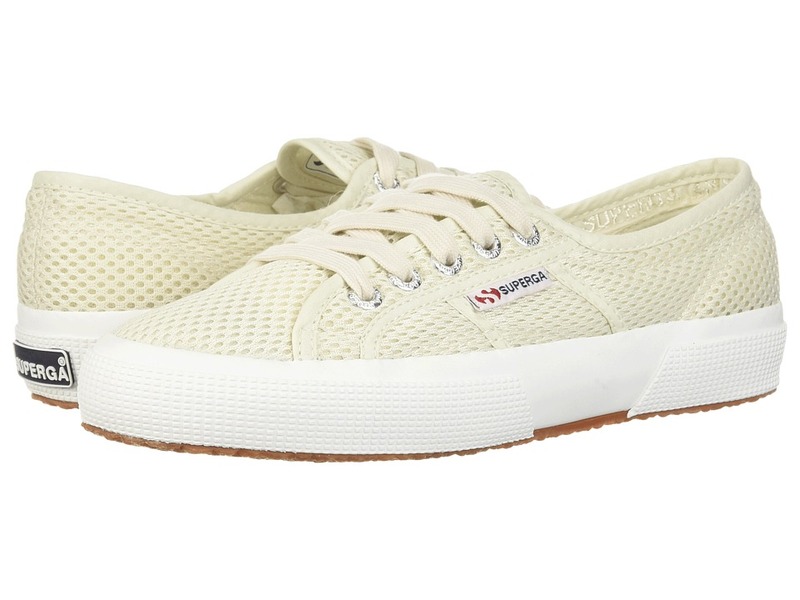 Step into refreshed signature style with Superga 2750 Puprintw Sneaker! Sturdy synthetic textile upper with graphic pattern. Lace-up closure with metal eyelets for an adjustable fit. Signature round-toe Superga silhouette. Iconic side branding tag. Soft textile lining ensures an abrasion-free environment for all-day wear. Cushioned, non-removable footbed provides sustained comfort. Natural rubber, crepe-textured outsole offers traction and durability. Imported. Measurements: Weight: 13 oz Product measurements were taken using size 36 (US Women~s 6), width Medium. Please note that measurements may vary by size. Weight of footwear is based on a single item, not a pair. From top to bottom, step into signature style with Superga 2750 Fabrishirtu Sneakers! Sturdy cotton upper. Lace-up closure with metal eyelets for an adjustable fit. Signature round-toe Superga silhouette. Iconic side branding tag. Soft textile lining ensures an abrasion-free environment for all-day wear. Cushioned, non-removable footbed provides sustained comfort. Natural rubber, crepe-textured outsole offers traction and durability. Imported. Measurements: Weight: 12 oz Product measurements were taken using size 36 (US Women~s 6), width Medium. Please note that measurements may vary by size. Weight of footwear is based on a single item, not a pair. Refresh your signature style with Superga 2750 Meshu Sneaker! Sturdy synthetic mesh upper. Lace-up closure with metal eyelets for an adjustable fit. Signature round-toe Superga silhouette. Iconic side branding tag. Soft textile lining ensures an abrasion-free environment for all-day wear. Cushioned, non-removable footbed provides sustained comfort. Natural rubber, crepe-textured outsole offers traction and durability. Imported. Measurements: Weight: 15 oz Product measurements were taken using size 41.5 (US Women~s 10), width Medium. Please note that measurements may vary by size. Weight of footwear is based on a single item, not a pair. 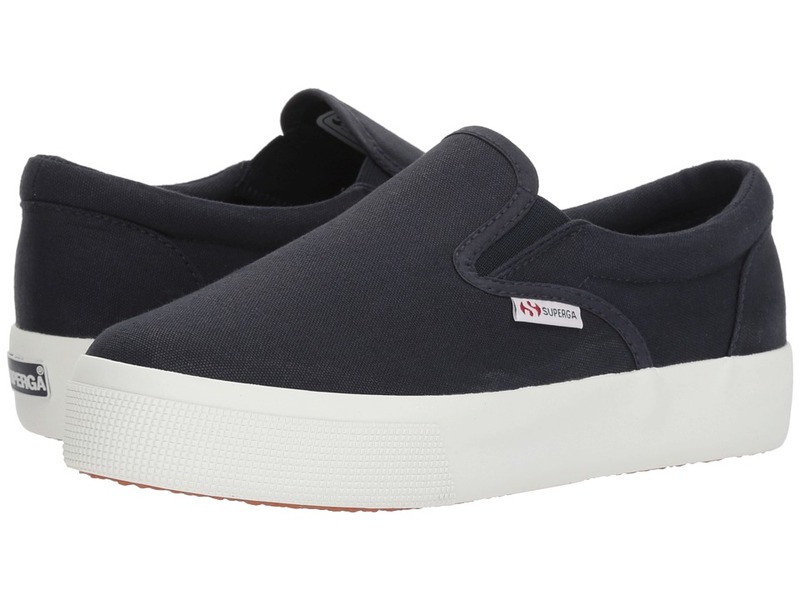 Add chunky appeal to those stems with the fashion-forward 2730 Slip-On Platform Sneaker by Superga. Slip-on shoe boasts a sturdy textile canvas upper. Cushioned footbed provides sustained comfort for all-day wear. Textile lining. Natural rubber outsole offers traction and durability. Machine wash, air dry. Imported. Measurements: Weight: 1 lb Platform Height: 1 1 4 in Product measurements were taken using size 39 (US Women~s 8), width Medium. Please note that measurements may vary by size. Weight of footwear is based on a single item, not a pair. 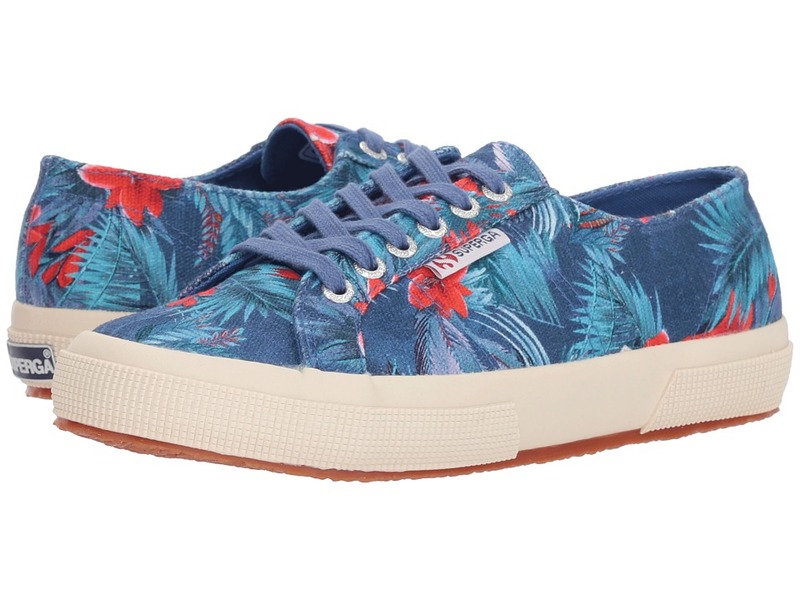 Give your sporty-chic ensemble a glam update with the Superga 2750 Maufloral Sneaker. Textile upper features a floral design. Lace-up design. Round toe. Signature logo accents. Textile lining. Cushioned footbed. Vulcanized rubber sole. Imported. Measurements: Weight: 14 oz Product measurements were taken using size 39.5 (US Women~s 8.5), width Medium. Please note that measurements may vary by size. Weight of footwear is based on a single item, not a pair.